APRIL 29--In a period of three hours, Operation Frequent Wind was carried out by U.S. Naval and Marine Corps helicopters from the Seventh Fleet. 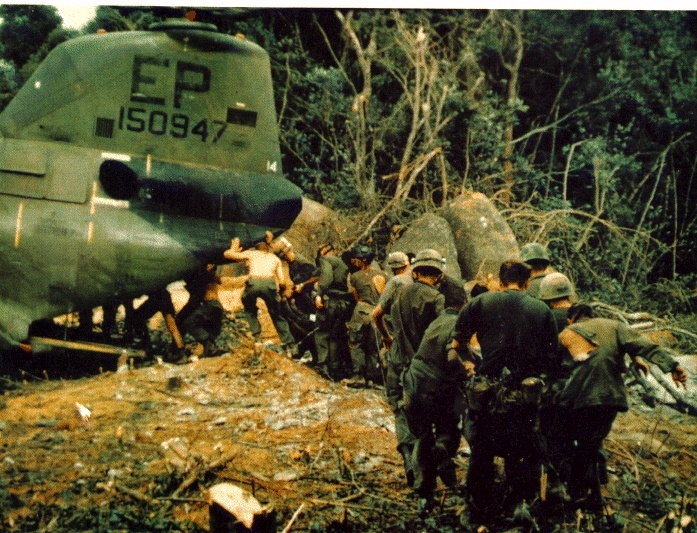 Frequent Wind involved the evacuation of American citizens from the capital of South Vietnam under heavy attack from the invading forces of North Vietnam. The military situation around Saigon and its Tan Son Nhut airport made evacuation by helicopter the only way out. President Ford ordered the evacuation when Viet Cong shelling forced the suspension of normal transport aircraft use at Tan Son Nhut. With fighter cover provided by carrier aircraft, the helicopters landed on Saigon rooftops and at Tan Son Nhut to evacuate the Americans. The airport became the main helicopter landing zone; it was defended by Marines from the 9th Amphibious Brigade flown in for that purpose. All but a handful of the 900 Americans in Saigon were evacuated. The last helicopter lifted off the roof of the United States Embassy at 7:52 PM carrying Marine security guards.